If you were not already aware, there is a great need for skilled metalworkers in the United States. That is why we at Metal Shop Fantasy Camp are so proud of what we do and love teaching others to weld! It is also why we decided to partner with other experienced metal shop owners in Brooklyn for our first ever Brooklyn Metal Partnership Training. 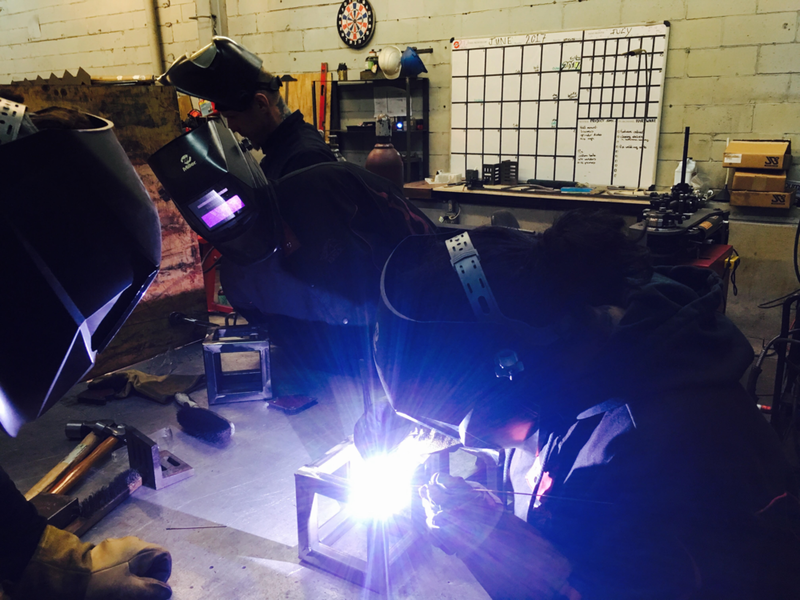 For the past three months, nine participants took classes with Argosy Designs, WaxRax, Bott Welding & Consulting, Lee Spring and Metal Shop Fantasy Camp to learn metal fabrication and welding with the goal of catapulting them into careers in the field. Participants rapidly immersed themselves in various aspects of metalwork such as shop drawings, layout, machinery, fabrication into production, welding, and finishing. The skills these students developed are for the real world since they have been trained by those who work in the real world each day, and they can now put these skills to work! Total Metal Resource is thus very happy to have hired two BMP students as interns and we are proud to have them on our team!